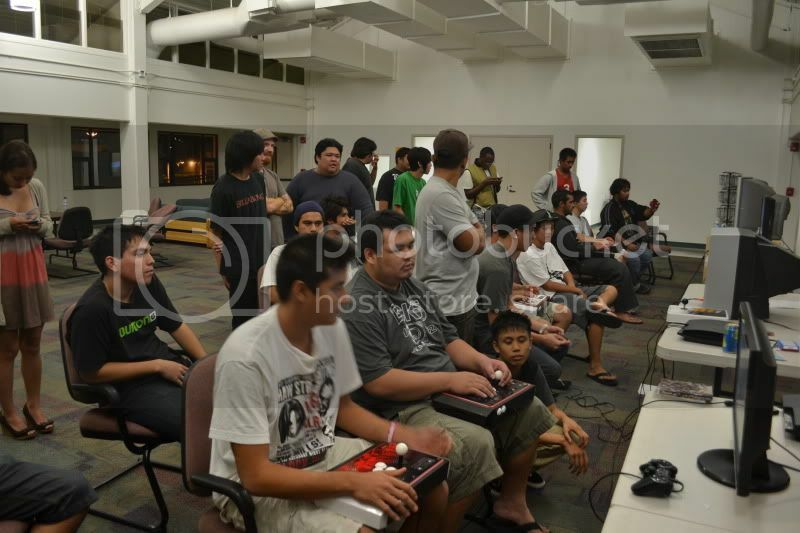 For a long time me, my friend Eli and Dwyane thought we were the best on Maui when it came to majority of fighting games out there (except Tekken). 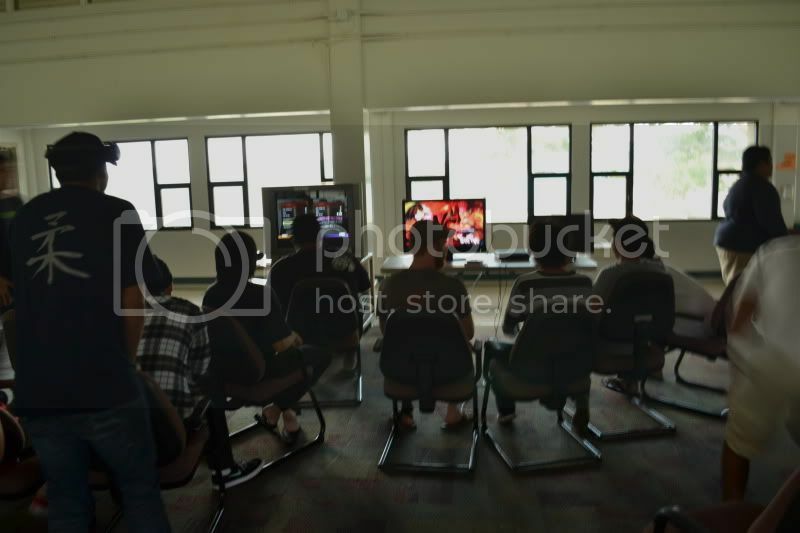 So a couple of months ago while at my house Eli was like " Yo, let's make an event on Facebook, a SSF4 and MVC3 tournament at the college and see who will come" I thought it was an amazing idea and we went on with it. Me and 2 other friends brought a system and our games. The Maui College has a huge student lounge that is open almost the whole day that anyone an go to, and we were surprised by all the people who showed up. Learning that there were people as good as us in some games and better in others was amazing. 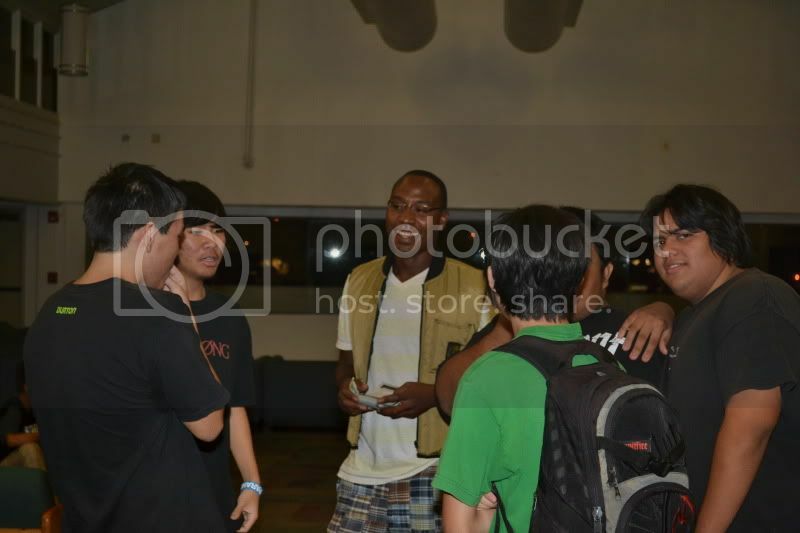 That day we didn't get around to a tournament, I believe there was like 8 hours of casuals, leading to us becoming good friends with a lot of the guys who stayed until closing. Soon after one of the guys we met created a group of Facebook called Maui Street Fighter. Here we planned the next events and settled that we would meet up every Wednesday for SSF4 tournaments and mvc3 casuals (not too many people played mvc3, so a small tourney would be lame) Every Wednesday the amount of people grew and everyone's skill levels increased. 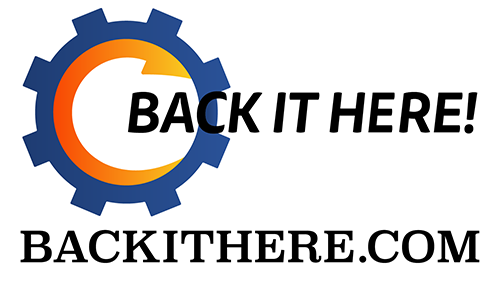 A big surprise about a week ago was a huge influx in new people! The best part was, they were Marvel and Tekken players. This led up to us having 3 actual tournaments in a night (which is hard to fit in when you do them one by one). Tekken was singles (since it had the smallest entrants), Marvel was teams of 2 and SSF4 AE was teams of 3. I love playing MVC3 casuals and felt pretty confident in the tournament. I didn't play Tekken and my SSF4 team got OCV'd by my close friend who plays me all the time; knew it was coming :p My teamate for Marvel was Adi, a guy who I felt pretty even with in skill leading up to more confidence (he played Wolverine, She-Hulk Storm and Wesker). He went first, beating the first few teams by himself and I didn't have to play. But when it came to the semi-finals and finals, he lost every set and I carried the way (which added more pressure than I thought it would). In the end, it came down to me playing Morrigan, X-23 and Wesker vs. a really strong Hulk-She-Hulk and Dormmamu. (Before that I played his teamate in a very interesting battle with me playing Mageto, x-23 and Wesker and him playing Magneto, X-23 Dommamu) Both of us were dropping combos towards the end and I purposely didn't punish some things because I knew if I messed up one bit, I would have died ; ended up playing it safe. The photographer was nice enough to upload a video of the final match, but it is only on Facebook, I'm not sure if you will be able to view it upon signing in (I HOPE SO! IT'S GODLIKE) If anything, I'll share it on the Gouki.com wall. So Adi and I won! 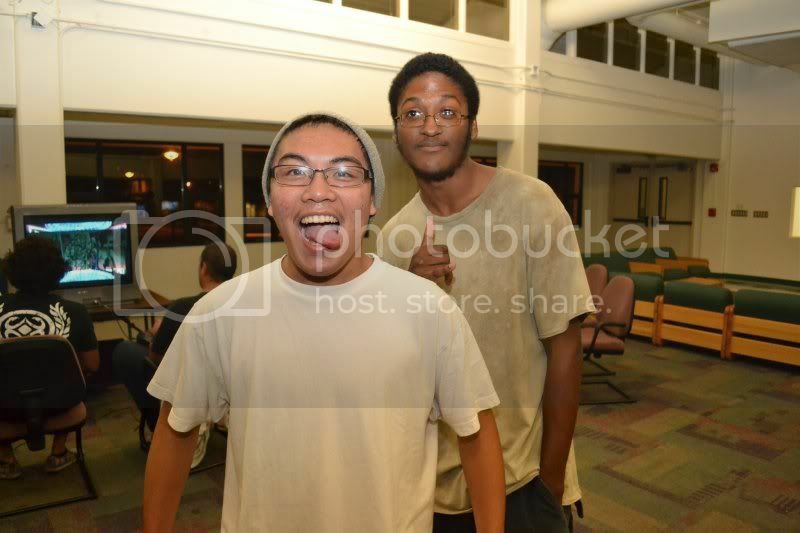 Split the prize $ and took a bro-photo. It was truly a great tournament and a great experience. 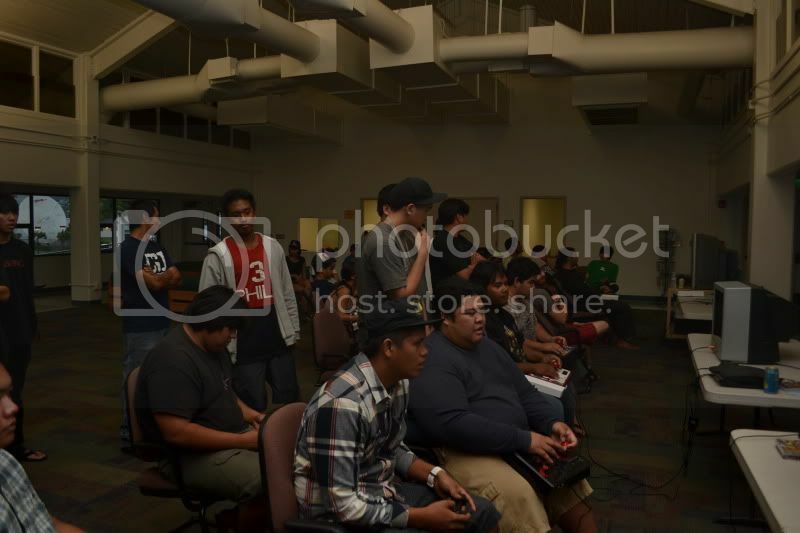 Glare makes me look cross-eyed but that's ok. Everyone attending the Maui College fighting events are awesome people and it is great that our community has grown so much from a friend saying " Brah let's make a event on Facebook". It's so hype having over 30 people in a room with many different play-styles and skills. Hopefully I can get more pictures from the guy or videos.